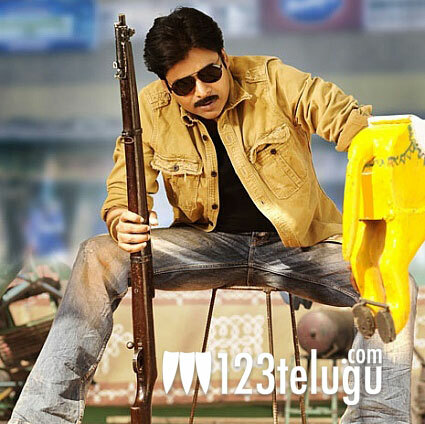 Power Star Pawan Kalyan’s mass action entertainer ‘Gabbar Singh’ is in the final stages of shooting and the movie is going to hit the screens on May 9th 2012. The movie unit will be travelling abroad on April 10th to shoot for a song and locations will be finalized in a day or two. As we reported earlier, climax fight sequences will be shot from today onwards. Shruti Haasan will be seen as the female lead in this flick and Harish Shankar is the director. Ganesh Babu is producing this flick on Parameswara Arts banner. The first teaser, which came out sometime ago, has really upped the expectations on the film massively and fans are eagerly awaiting this flick’s release. Devi Sri is scoring the music.